Somizi Mhlongo seems to be still taking care of his baby mama Palesa Madisakwane who was involved in a car accident last week. Palesa who was very angry last week at people who drive drunk is thankful to be alive. 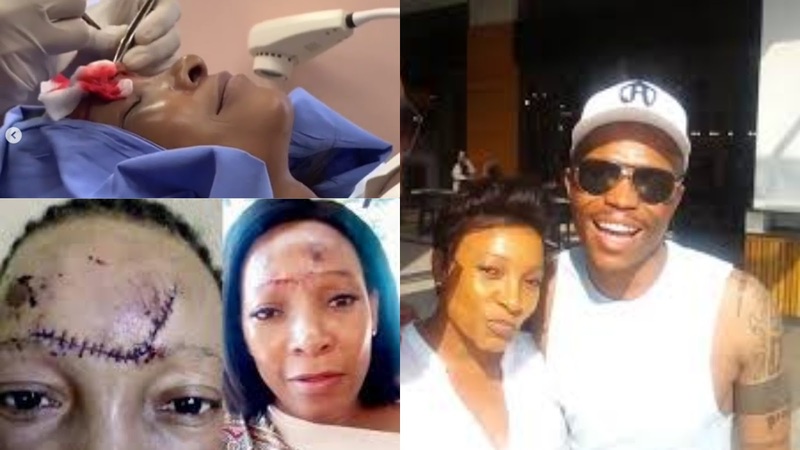 Palesa has taken to Instagram to share her reconstructive surgery journey through videos and said that she is thankful to Somizi for making it happen and making sure she stays beautiful. "The plastic surgeon Dr. Mia had to take off stitches done at the public hospital and then construct and restitch on my scar. Thank you Dr. Mia for the reconstructive surgery. I'm very happy with the results and healing." she said on her post on Instagram.